Along lower Rattlesnake Creek, the smell of mock orange lingers, a Pileated Woodpecker scales old ponderosa pines in Bugbee in search of beetle larvae, and mariposa lilies and nodding onions color the green forest edges near the Rattlesnake trailhead where hikers, bikers, and horse-riders start trips into the woods. Rattlesnake Creek surges with cold, cold water from high in the mountains of the Rattlesnake Wilderness. Volunteers take water samples from the Creek to monitor its health and place pheromone packets on trees to discourage mountain pine beetles from tall pine trees. And, the Rattlesnake Creek Watershed Group (RCWG) works to engage and connect the landowners, land managers, community members, and visitors in the Rattlesnake Creek Watershed. Read below to learn more about who we are and how you can join us. This edition covers – Who We Are, the RCWG Board of Directors and Staff, Surface and Stormwater Monitoring, RCWG Events, and in our Watershed Species Series, Black Cottonwood (Populus trichocarpa). Rattlesnake Creek, stretching 26 miles from the peaks of the Rattlesnake Wilderness to the heart of the Missoula Valley, is the thread that ties a bustling city of 69,000 to the mountain wilderness that surrounds it. Tasked with the stewardship of this invaluable watershed are the landowners and residents who live at its feet, the land managers who work to protect it, and the community members and visitors who come to enjoy it. Home to threatened bull trout, a diverse population of raptors, carnivores, songbirds, plants, and people, and housing the standby drinking water supply for the City of Missoula, the Rattlesnake Creek Watershed provides a keen example of an ecosystem striving to survive amidst a range of interests, ownerships, and management goals. Just as we depend on it, Rattlesnake Creek’s continued survival depends on us. The Rattlesnake Creek Watershed Group exists to raise awareness and engage the greater Missoula community in stewarding the Rattlesnake Creek Watershed. Our mission is to promote the preservation of Rattlesnake Creek through science, education, and stewardship. Over the past four years, we’ve worked, alongside community members, students, businesses, and agencies, to remove invasive plants and restore native species and habitat in the seven-acre Bugbee Nature Preserve. We’ve held public meetings and community events, including stream cleanups and tours of the Mountain Water Company dam fish ladder. And, we’ve built capacity for our organization by collecting data in the watershed and developing plans to guide restoration and stewardship. This year, we received federal recognition as a 501(c)3 nonprofit organization. We are ready to grow. Yet, we need your support to do so. We need your support to achieve our goals and objectives, and work on behalf of the community. Please explore our website to learn more about our work, and please donate to support us today! In our inaugural e-newsletter, we are proud to introduce the RCWG Board of Directors, who work tirelessly to forward our mission. Our Board President Katie Gaut brings considerable experience and leadership to the group. A native Montanan, Katie works for the Clark Fork Coalition as a hydrologist and GIS specialist. Her intimate knowledge of water issues and skill as a water scientist add considerable credibility and technical capacity to the group. Greg Peters is the current Vice President. Greg worked as the RCWG coordinator for more than a year, building organizational capacity and establishing the RCWG as a leading community voice for the Rattlesnake. His organizing and communication skills have helped move the group from a few concerned residents meeting occasionally to a full-fledged nonprofit actively working to engage all Missoulians in the care and stewardship of the Rattlesnake. Heather Whitely, Board Secretary, brings her considerable skills to bear on behalf of the group as well. Heather is a project manager at Trout Unlimited and her extensive knowledge of fisheries, fishery grants, monitoring techniques, and project management have allowed the RCWG to plan and implement critically important projects. Tanya Terhark serves as the Board Treasurer, providing the RCWG with much needed professional accounting skills, helping write and submit grants, and offering insight from her former work as a fisheries technician. Mark Thompson, board member at large, works for S&K Environmental, LLC, a restoration company operating throughout Montana. Mark’s extensive knowledge of the native plant and animal communities in Montana, his skills as a restoration practitioner, and his willingness to spend weekends organizing restoration efforts on behalf of the RCWG make him a true asset for the group. Board member at large, John Carter brings not only experience and enthusiasm to the group, but invaluable legal skills as well. A resident of the Rattlesnake and an accomplished water rights lawyer, John’s skills and perspective have helped guide the group as it works to address water issues in the Rattlesnake. We would also like to recognize the generous and skillful leadership our past Board President Dave Berkoff provided the group over the last several years. A Rattlesnake resident and avid fisherman, Dave led the group from its inception through its formation as an official 501(c)3 nonprofit organization. Dave’s busy schedule and many community commitments have conspired to pull him away from the RCWG Board, but we know that his support for the group continues and we thank him for all that he’s done. Additionally, we would like to thank past Board member Robert Mahon for designing our logo and helping with our successful 501(c)3 application. We wouldn’t be where we are today without his help. Best of luck in Idaho, Robert! This spring, the RCWG hired a talented new coordinator, Katie MacKendrick, and charged her with building our community support and growing the group’s capacity. Katie brings experience as a botanist, natural resource planner, and community organizer, and seeks to grow her current volunteer position into a community-supported staff position. Please help us support our new coordinator. Finally, we welcome individuals to join our Board or one of our three volunteer, citizen committees: Fundraising, Stewardship, and Citizen Science and Education. We are a self-selected group motivated to help protect and preserve the incredible resource that is the Rattlesnake. If you are interested in becoming involved with the RCWG, please contact us. In response to concerns about increasing development, riparian encroachment, and community sewage disposal in the lower Rattlesnake Creek Valley, RCWG developed a surface water and storm runoff water quality monitoring program. The objectives of these programs are to determine the water quality characteristics of this urban drainage basin and measure the amount of pollution entering the Rattlesnake Creek. Starting this consistent water quality monitoring program will help evaluate trends in water quality and pollution loading and provide a measure of relative health of the creek over time. RCWG has partnered with Trout Unlimited, the Missoula Valley Water Quality District, and the Clark Fork Coalition to conduct surface water and storm water collection and assessment. Storm water samples will be collected in the lower Rattlesnake at the I-90 bridge and at the Railroad bridge. Surface water samples are collected at upper, middle, and lower Rattlesnake creek. The City of Missoula wastewater treatment plant evaluates all samples and shares the results. Results from three years of surface water monitoring are available. Water monitoring offers a great volunteer opportunity for interested individuals. Please contact us to learn more! Recent Events: This spring and summer, RCWG volunteers continued efforts to restore and protect habitat in Bugbee Nature Preserve. In April, volunteers helped remove old seed stalks from invasive plants, plant and seed native species, and put up fencing to protect young native plants from deer browsing. In May, students from Sussex School also helped pull young weeds. 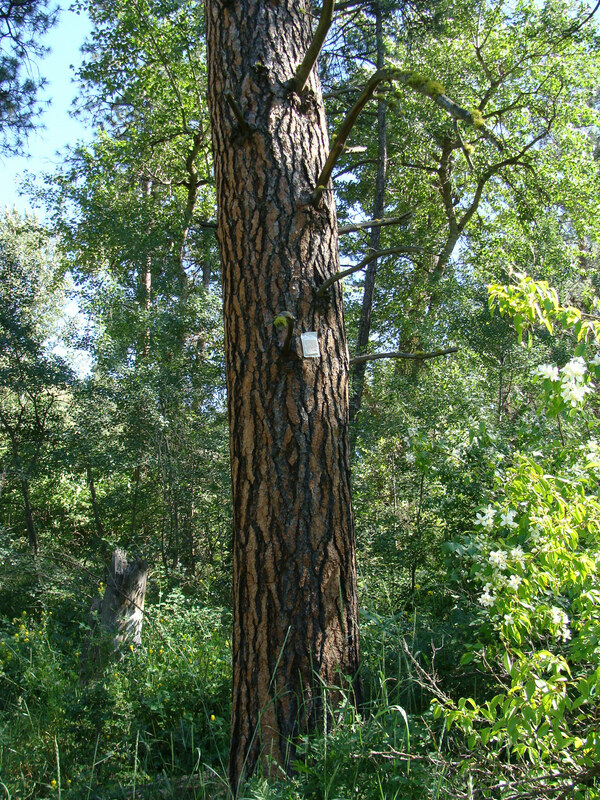 And, in July two volunteers placed 15 Verbenone pheromone packets on ponderosa pine trees to protect large, over story trees in the riparian area from pine beetle attack. Next year, we hope to work with Missoula County to place even more packets on trees in Bugbee. 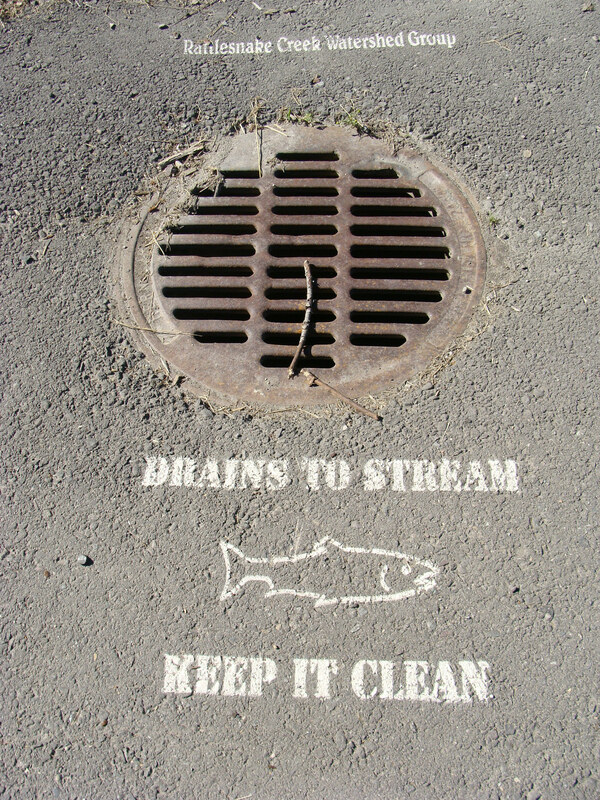 Additionally in May, the RCWG, with help from Montana FWP Fisheries Biologist Ladd Knotek, led a tour of the Mountain Water Company dam fish ladder, and helped local students stencil messages near storm drains in the lower Rattlesnake. Ongoing Events: Volunteer with the RCWG! We’re currently looking for individuals interested in helping plan fundraising events, take water samples from Rattlesnake Creek, and participate in stewardship events in Bugbee Nature Preserve. Please contact us to learn more. Upcoming Events: Early this fall we’re planning a number of events, include a stream cleanup, biodegradable rubber ducky race, a series of stewardship workshops, and an annual meeting. Plan to join us to learn more about our growing organization. Check our website for more information and sign up to receive email updates. Plan also for the Montana Public Service Commission hearing on the sale of Mountain Water Company. The hearing is scheduled to occur sometime in September. To learn more, visit the Montana Public Service Commission website and the Clark Fork Coalition website. This year’s floods along Rattlesnake Creek were an impressive reminder of the transformative power of flowing water. While at first glance much of this force may appear damaging, many of the changes to the riparian area caused by high flows will actually benefit the overall health of the ecosystem. 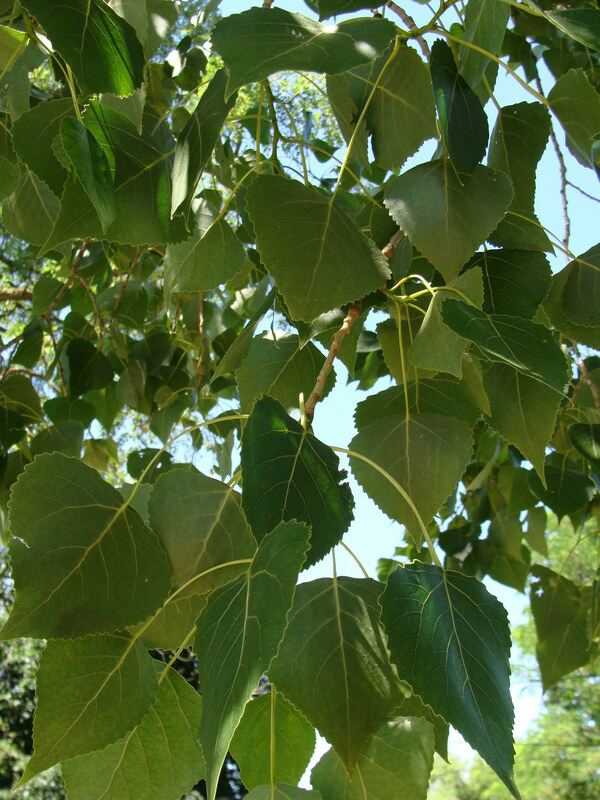 Black cottonwood (Populus trichocarpa) is one species that thrives, and in some systems fully relies, on the disturbance that floodwaters bring. Fast, high flows in the spring scour areas of the floodplain and upon receding, they leave behind a moist, unshaded and silt laden seed bed that is just what cottonwood seeds need for germination. As the cottonwood grows, it binds the vulnerable streambank soils with its extensive root system below ground, while above ground the large canopy provides shade that keeps water cool and soil moist. The tree itself becomes food or habitat for hundreds of species of animals, all relying in one way or another on this grand structure. The myriad ecological benefits that the black cottonwood provides are vital to the Rattlesnake Creek Watershed, and we will visit some of these relationships in more detail in upcoming newsletters. Until then, take a walk down to the creek, find a gravel bar and have a look; the seedlings of this year’s flood will be the noble groves of our grandchildren.